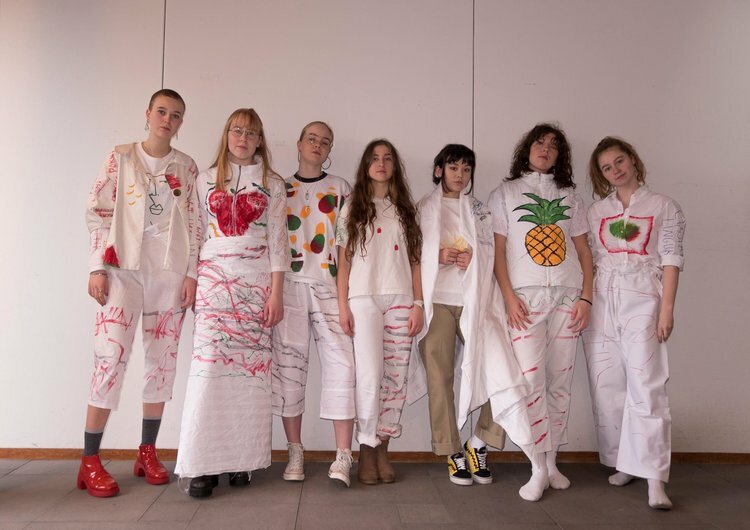 Over the last year, Reykjavík Dance Festival has been working on a series of projects in collaboration with a unique team of teenagers from Reykjavík. Inspiring, smart, creative and empowered voices – who have the power to make magic happen. It has been our honour to get to work with them. These teenagers - in collaboration with the RDF team - have been making a festival together. A programme of activities that will live in the city through workshops, performances, seminars, publications and public interventions. A programme of activities that meets in the crossovers between dance, theatre, choreography, performance, fashion, visual arts and design. There have been, and will be, take overs of a swimming pool, a greenhouse, a gallery, a theatre, as well a whole host of secret locations across the city from board rooms, to bus stops, to school corridors. For these teenagers, this festival is a platform for them to speak to each other, as well as to the city at large – and they are taking it right to where they want it to be. Teenagers on the stage, behind the stage, in the audience, on the television, on the airwaves, and out there in the city – all the time dealing with dance, choreography, performance, art and design in extraordinary ways. It has been a true honour to work with them. Come with an open mind, a open heart and a hunger to have fun – and you will leave with no regrets. And you never know – it might change your life – or even transform the world around you before your very eyes. 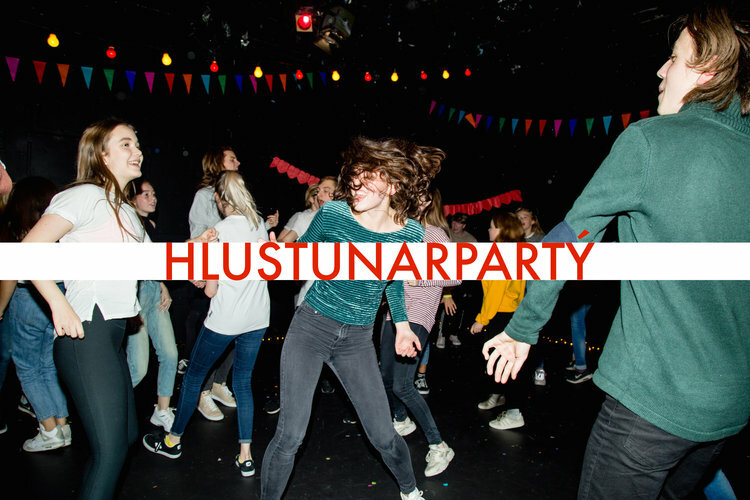 Vesturbær swimming pool welcomes Unglingurinn í Reykjavík for a week long pool party and teenagers take over! We offer a program of concerts above and underwater, performances, stand up and a Dj dancing, splashing party. Artists: ASDFHG, Les Coquettes, Atli Finnsson, Elínborg Una, Sunna Axels og Snorri Ástráðsson. Free entrance to the pool from 19:30, every event day. A feminist utopia of sorts, the work "all the sisters in me" centers around the witch figure as a medicine woman and the idea of Matriarchy. Through solidarity, humility and creative force, the witches magically flow from one ritual to another, through which they bring the audience on a therapeutic journey of healing. The work is inspired by and a contribution to this moment in time, to the revolution which is taking place right now, to the sisterhood, to the fourth wave, to the third, second and first waves. The FWD Youth Company is a program for young dancers, who have completed their studies in dance on a high school level, and want to add to their experience and skills. The program is considered as a kind of bridge after their high school studies, before young dancers start university studies or take their first steps into the professional dance life. Performers/Witches: Alma Kristín Ólafsdóttir, Andrea Urður Hafsteinsdóttir, Bjartey Elín Hauksdóttir, Guðrún Mist Hafsteinsdóttir, Halldóra Ósk Helgadóttir, Inês Casaca, Kristín María Ómarsdóttir, Lísandra Týra Jónsdóttir. Thank you to: Þórunn Elísabet Sveinsdóttir, Ólína Þorvarðardóttir, Hrafnhildur Einarsdóttir og Carlo Cupaiolo. Les Coquettes are nine girls that choreograph together, dance together and form a core. Les Coquettes are the modern women. We love being girls and are proud of it. We are girls who flirt and mock those typical stereotypes in the modern society. The performance premiered and is produced by Everybody´s Spectacular, international performance festival in Reykjavík. It is a part of the project ,,into the city - onto the stage” which is funded by Ministry of Culture and Education, Urban Heat and apap - Performing Europe 2020, which are co - funded by the Creative Europe program of the European Union. The performance is in collaboration with The National Theater. Participants in the Zine workshops, share the process and show the Zine they made. Zine will be for sale and you can even choose your cover and have it printed on the spot! The performance will present a new clothing line dedicated to daily life, instagram celebrity, race against time and empathy for the next generations. RDF invites young people to an artistic gathering where the capacity of art to initiate change will be discussed, change in ourselves, in each other, in the society around us. The discussion will be inspired by local artists, this year: Ása Hjörleifsdóttir, Hugleikur Dagsson, Korkimon and Króli. Listmundur is a space for young people to get inspired, think and express their thought on art and artmaking. A space to speak out loud and nurture dreams of the future. Listmundur is an experimement to create a platform for the youth to discuss art and its possibilities. The event aims at archiving and mediating these ideas and to support and encourage their participation in social and civil life in general. Listmundur will be held in the greenhouse of the Nordic House. Grill, walk and inspiration! The event is in collaboration with the Nordic House. Workshop for the stage project Chekhov Fast & Furious by Superamas. You want to be on stage? You are creative, curious and have something to say? What is love? What is substantial in life? What does it mean to be young? For its new performance project Superamas is looking for 12 young adventurous people between 16 to 25 years who are interested in getting experience through a theatre project. Uncle Vanja one of the most performed plays by Anton Chekhov is the starting point. The project is not about performing Uncle Vanya it is about re-inventing this “old theatre” with young spirit, joy and guts. The project is worked on with four groups in France, Austria and Iceland. Each group will create a part of the performance and the show will be shown in November in Everybody's Spectacular. From 26th February to 10th March 2018. Further informations about time when registering. No theatre experience required. English speaking is best but not mandatory. The aim is to create a 10-12 minutes script for the final performance, to get to know each other and to create a dynamic, curious and engaged group of varied personalities.